"The Super Bowl continues to be a platform to showcase a brand's creativity and voice. Audi was the first auto maker in its class to begin advertising in the Super Bowl five years ago and we're once again excited to be a part of the action," said Scott Keogh, chief marketing officer, Audi of America. "We've achieved record levels of awareness and showroom traffic with national consideration numbers showing significant spikes post game, and are confident that this year will follow suit." In last year's "Release the Hounds" Super Bowl ad, Audi became the first Super Bowl advertiser in history to tag a commercial with a Twitter hashtag. 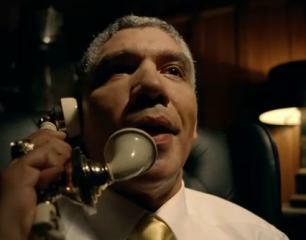 The Audi ad, featuring the new Audi A8 flagship sedan, was a parody of individuals attempting to escape from the confines of old luxury as portrayed in a luxury prison. The spot also featured a comical cameo by legendary musician Kenny G. You can watch the Audi Super Bowl 2011 below. Audi had also elaborate social campaigns with viral videos ahead of the Super Bowl. I expect the same for the Super Bowl 2012. Audi launched a new TV ad campaign featuring Quattro. This could mean that the Audi Super Bowl 2012 Ad is highlighting Audi Quattro AWD technology.